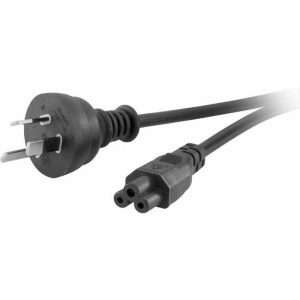 A 10 Amp 3-core power cord fitted with 2 X IEC-C13 Female connectors and one 3-pin Australian mains socket. 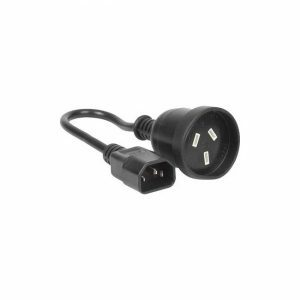 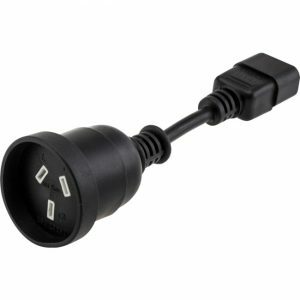 Suitable for supply of power to both a PC and monitor from a single power outlet. 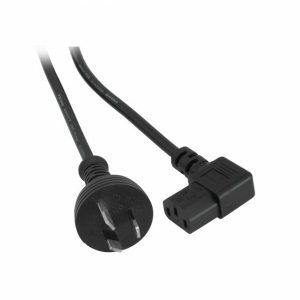 Length is 2 metres overall, comprising 2 x 1.5metre IEC-C13 sections and a single 0.5 metre section from the mains plug to the Y-junction. 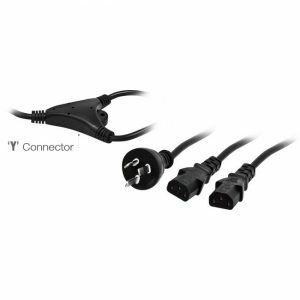 Ideal for connecting a standard powerboard to to a ups. 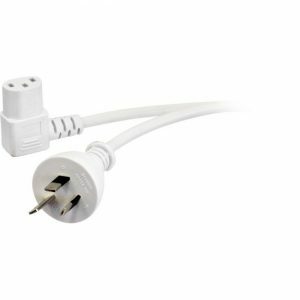 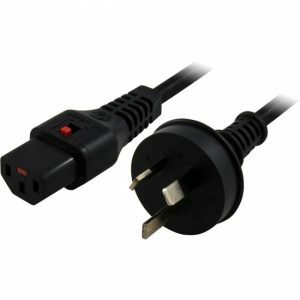 2 metre power cable Australian 3 pin male plug to IEC C13 right angle female socket.